For the past 19 years we have specialised in providing quality installation teams to the trade. All our personnel are qualified to a minimum of CSCS requirements. When needed, we have trained IPAF, PASMA & SPA teams and we have no limit to our working area. We have assisted many of the country’s leading sign companies, as well as dealing with UK works for overseas clients. We have traveled extensively, including the channel islands, the USA, several countries in Africa, northern and eastern Europe & the middle east. We have worked at the New Wembley Stadium, Westfield (Shepherd’s Bush), various companies at Canary Wharf, various DLR stations, the Wimbledon Tennis Championships, the London airports and many blue chip companies across Europe. We pride ourselves in representing our partners with a professional presence on site, taking care with confidential information and reassuring their clients that all is well. If you feel we can be of assistance, please email your requirements for a prompt response. 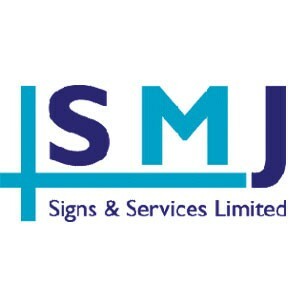 Edit SMJ Signs & Services Ltd.